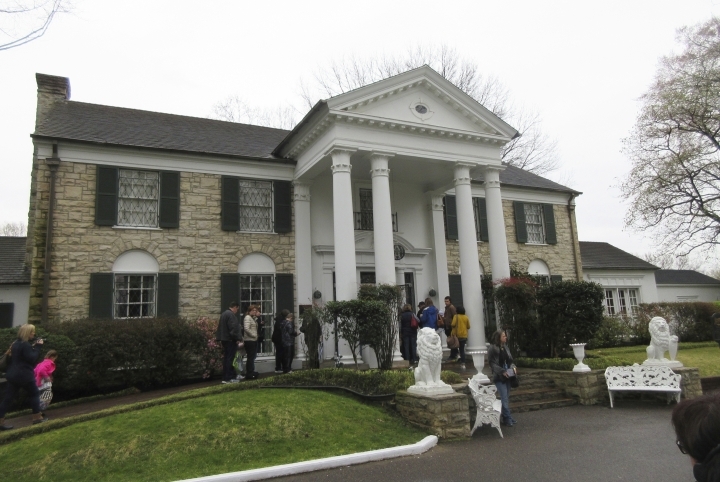 MEMPHIS, Tenn. — The head of the company that controls Graceland says he is not threatening to move the Memphis, Tennessee-based tourist attraction centered on the life of singer Elvis Presley, despite comments that had suggested otherwise to many fans. The Memphis City Council is considering a $100 million expansion plan at Graceland that includes a proposal for tax-based incentives. The tourist venue includes Presley's former home, plus an entertainment complex across the street. It attracts more than 500,000 visitors each year from around the world. Concerns about the attraction's future arose this week when Graceland Holdings managing partner Joel Weinshanker was quoted in story by The Wall Street Journal story saying he has received offers "to take every piece of wood and panel and move it," including Asia and Nashville, Tennessee, as possibilities. "Someone said it was a threat, which is incorrect," Weinshanker said by phone Wednesday. "We get offers all the time to do things. Somebody asked, 'Are people still offering you to move Graceland?' I said, 'We had an offer a week and a half ago. "We don't have a bank going out and soliciting offers," he said. Council members have a vote pending on Graceland's plan for its $100 million expansion. It includes new sound stages, cabins, retail space, a recreational vehicle park, and expansion of the Graceland Guest House hotel. The project would add about 250 jobs and serve as "a catalyst for redevelopment" of the Whitehaven neighborhood that surrounds Graceland, according to an outline of the deal on the City Council's website. Graceland wants to increase its portion of tax-related revenues from a tourist development zone to 65% from 50%. The city and county government's share would drop to 35%. Memphis would ask state officials for an amendment to the tourism zone to include Graceland's expansion. "The truth is that we can't continue to expand without reasonable incentives that make sense, but we've never threatened to move Graceland," he said. Weinshanker blamed the misunderstanding on "misdirection by a small number of politicians who don't care about the city, they care about themselves." He did not name the politicians. Weinshanker says the difference between Graceland and Electrolux is that Electrolux "got a check," while Graceland seeks a percentage of tax revenue from sales. He said Electrolux's decision to move its Memphis operations to another Tennessee city could be because "Memphis is not doing enough to teach their kids." He said he has a plan to work with schools in Whitehaven on technical education. Council members are concerned that the amount of seating in the sound stages would approach about 6,000, which could put Graceland in competition with Memphis' main concert venue, the FedExForum. "No one thinks they're going to pack up and leave," Conrad said. "That's never been discussed with us. It's never been threatened. It's kind of ridiculous."